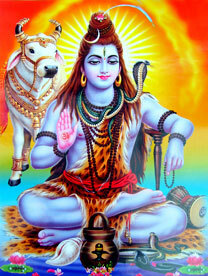 Recommended for Career, Purity of ideas and invokes knowledge to tackle problems and difficult situations. 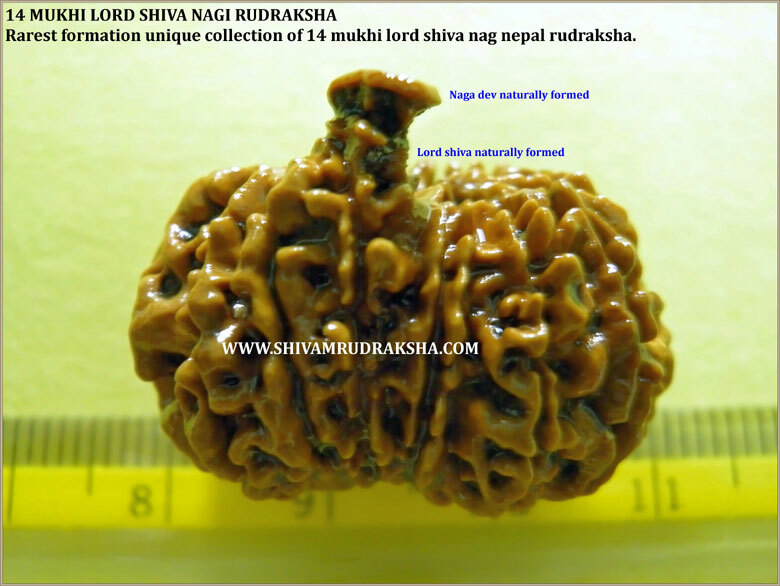 This is very special unique 14 mukhi lord shiva nag rudraksha. This is only one rudraksha in the world . 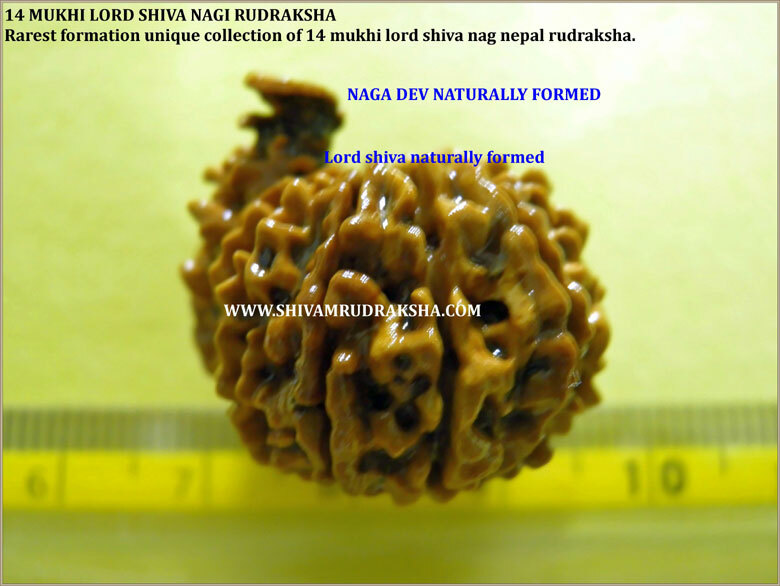 Naturally formed lord shiva covered by naga dev formed naturally in 14 mukhi rudraksha. 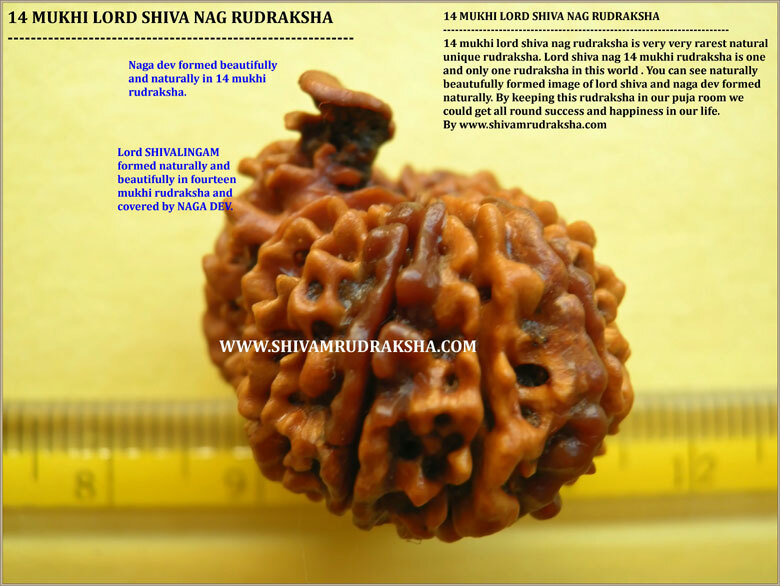 By keeping this 14 mukhi lord shiva nag rudraksha in puja room you can get all round success in business.